If you're expecting widespread availability of gaming desktops with AMD's Zen chips by year-end, don't hold your breath. It's been a long wait for Zen since it was first announced in mid-2015. It's shaping up to be the best CPU from the company in more than a decade, and the AMD faithful are hungry to get their hands on a desktop with the chip. 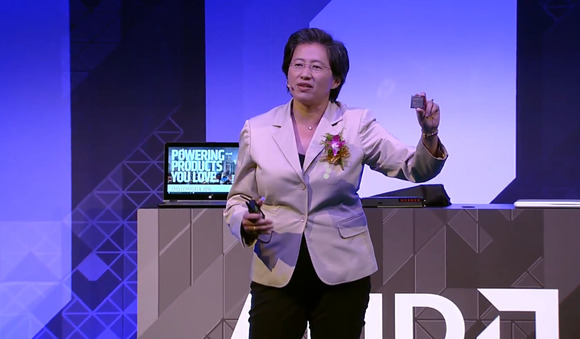 High-end desktops with Zen will be available, but in "limited volume towards the end of the fourth quarter," said Lisa Su, CEO of AMD, during an earnings call Thursday. The number of available Zen-based desktops will depend on how testing of the chips goes and how ready PC makers are to ship the machines, Su noted. Volume shipments of desktops with Zen will begin in the first quarter next year, Su said. It will be a gold rush for Zen gaming desktops during the year-end holiday shopping season. Those desktops could become available right at the end of the year, and be priced at a premium. Before the earnings call, it wasn't clear when Zen-based desktops would land in the fourth quarter, but volume shipments were expected. AMD at Computex in June said it would start shipping Zen processors for testing to a few partners, with a larger volume of chips shipping in the third quarter. AMD claims major advancements with Zen, among them a 40 percent improvement in instructions-per-clock (IPC), a metric for CPU performance. The desktop Zen chips will be benchmarked to see if those claims hold water. AMD has big plans for the enthusiast segment as it will best represent how far the company has come with its CPU and GPU technologies. If Zen fails, it will be disastrous for AMD considering the amount of resources put into its development. The chip maker wants to combine Zen chips and GPUs based on the Polaris graphics architecture to provide the ultimate gaming experience. Competition in high-end desktops will come from Intel's Extreme Edition chips and Nvidia Pascal GPUs like the GeForce GTX 1080. Both are extremely popular, and it will be challenging to convince customers to move to an all-AMD desktop. But the Zen chip looks promising, and AMD hopes to get back on par with Intel on CPU technology. Laptops with Zen chips and integrated graphics will launch next year, Su said. Server chips based on Zen will ship in the first quarter.